Tradewell Ferromet Pvt Ltd can provide Cold Forged & Hot ForgedRoller Screws / Special Alloy Roller Screws with complete material compliance. Moog has over 30 years experience in producing and designing customizedhigh precision ball and planetary roller screws (ISO 3408 accuracy for classes 3-5-7) that are suitable for a variety of markets and challenging motion control applications. Unmatchable quality of Planetary SS Roller Screw is offered by us to customers in bulk. 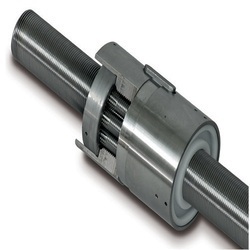 ROLLVIS satellite roller screws are used to transform rotary movements into linear movements and vice versa. The bearing elements are threaded rollers between the screw and the nut. 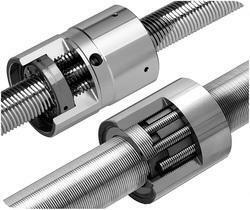 The high number of points of contact enables satellite roller screws to support very heavy loads. Due to our expertise, we are employed in providing an exclusive range of Roller Type Ball Screw. Prior to dispatch, offered product is checked against varied parameters. We are the Distributor of Planetary Roller Screws. SKF provides solutions to driving applications that require transforming rotary action into linear motion. The comprehensive assortment of driving products include: rolled ball screws, roller screws and ground ball screws. Durga Bearings (Mumbai) Pvt. Ltd.